Take 6 (Claude McKnight, Mark Kibble, Joel Kibble, Dave Thomas, Alvin Chea and Khristian Dentley), heralded by Quincy Jones as the “baddest vocal cats on the planet!’ is the quintessential a cappella group and model for vocal genius. Six virtuosic voices united in crystal clear harmony, against a backdrop of syncopated rhythms, innovative arrangements, and funky grooves that bubble into an intoxicating brew of gospel, jazz, R&B, and pop. 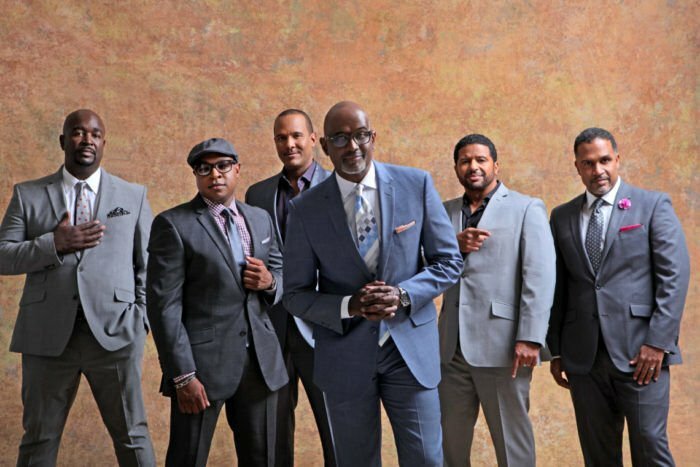 With praise from such luminaries as Ray Charles, Stevie Wonder, Brian Wilson, Ella Fitzgerald and Whitney Houston, the multi-platinum selling sextet has toured across the globe, collaborated across genres, and is recognized as the pre-eminent A Capella group in the world.